One – As you are wearing white, choose a lip colour that has a slightly brighter hue than what you might normally go for everyday. It will help to make you stand out a little more in the professional images and keep you from looking washed out. Two – Make sure that your eye makeup is waterproof and smudge proof. If you are wearing it all day, you want it to stay put in the intended area of application and not smear all over your face. Three – Go for a natural rather than a totally matte finish foundation – it will need to be worn with a primer, but will give your face movement and life in the pictures. 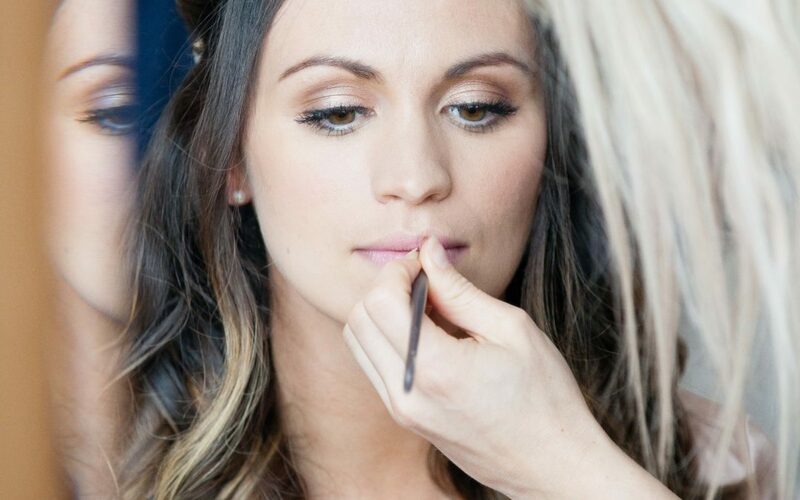 Four – Don’t go to heavy on the contouring – although it is a big trend right now, it won’t always be on trend, so any contour should be done subtly and preferably by a professional who knows how it will look on camera. Five – Use false lashes where necessary. If you do not have LVL then the next best thing are a set of false lashes to add that little bit of glamour to your makeup and to finish off the look so that your eyes stand out on your big day.